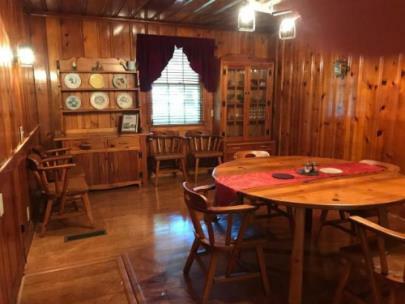 The Tennessee Historical Commission today announced the addition of four properties to the National Register of Historic Places. 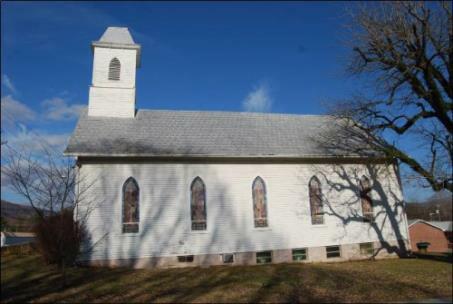 They include a 20th century school, a 19th century church and two houses associated with country music. 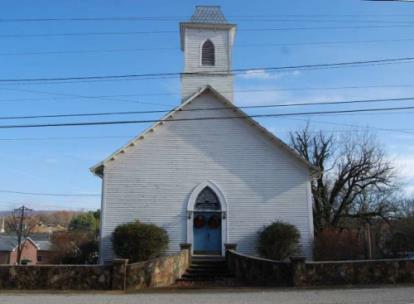 Located at the intersection of Oak Grove and Brantley Roads, the Oak Grove School is important for its design and for its role in education in the community of Sharps Chapel. The school was built in 1934-1935 using the 1924 plan book from the Julius Rosenwald Fund. The Rosenwald Fund provided plans and money to build schools for African Americans in the South. Oak Grove School was not an African American school but it used the Rosenwald plan book because the schools were so well-designed. The one-story Oak Grove School is sided with weatherboards, has minimal Craftsman details, such as the overhanging eaves, large wood windows and two classrooms. Works Progress Administration workers helped build the Oak Grove School. 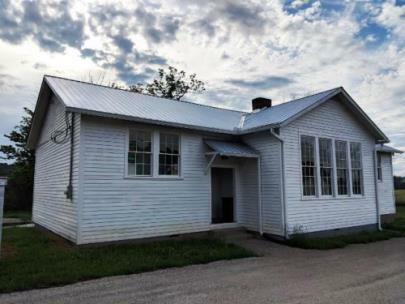 Reading, writing, math, geography and Tennessee history were taught at the school until it closed in 1965 when school consolidation of rural schools into the Sharps Chapel School occurred. 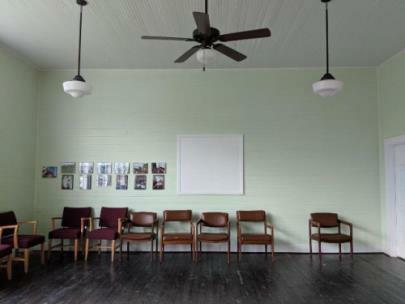 Beginning in 2011 former students began restoration of the building and today it is used for community events and as a book station/small library. 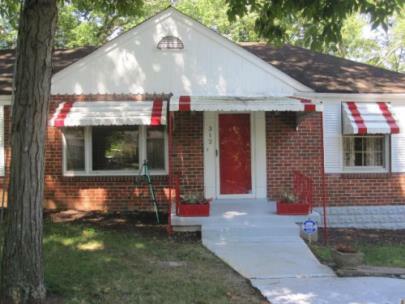 Hank Snow (1914 - 1999) purchased his brick ranch house in 1950 not long after his first county music number one hit “I’m Movin’ On” was released in August of that year. The record was number one on the Billboard country charts for 21 weeks and it stayed on the charts for 44 weeks. Canadian Snow – as Hank, the Yodeling Ranger – first went on the radio in Halifax, Nova Scotia in 1933 and joined the Midnight Jamboree in Wheeling, West Virginia in 1945. RCA released Snow’s recordings in the US in 1949 and the January of the next year he became a member of the Grand Ole Opry. After years of traveling music circuit, Snow and his family settled in the house that would become his office, talent agency, and recording studio for himself and others. Calling his home Rainbow Ranch, around1953, Snow built a recording studio in his house and in 1970 he added a new, modern recording studio to the house. 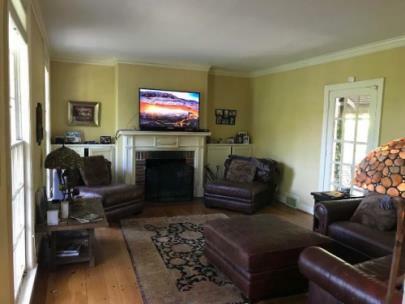 The house is now available for weekly or monthly rentals. Built in 1925, the Smith-Carter House is an unusual style for Davidson County, Monterrey Revival. The style is characterized by a low pitched gable roof and a cantilevered porch covering the façade. 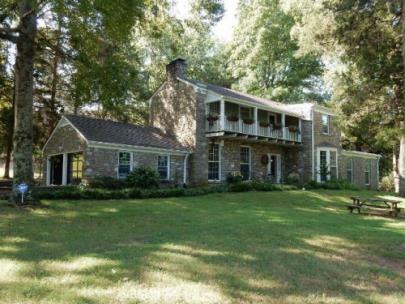 In addition to having a unique architectural style, the house is important because of its association with June Carter. Grand Ole Opry star Carl Smith bought the house shortly before he married fellow Opry star, June Carter (1929-2003) in 1952. After their divorce, Carter kept the house and lived there until she married Johnny Cash in 1968. She started her career singing with The Carter Family and then with Mother Maybelle and The Carter Singers. Carter sang, played the autoharp and was the comedic part of the family show. Carter and her frequent collaborator Merle Kilgore penned a number of songs at the house, including “Ring of Fire.” Johnny Cash recorded the song and it became number one on Billboard’s Hot County in July 1963. Carter also collaborated with Cash and in 1968 they were married and she changed her name to June Carter Cash. Maybelle Carter lived here until her death in 1978. Copies of the National Register of Historic Places nominations are available by contacting the office.